Royal Life Saving Society – Australia released their 21st edition of the Royal Life Saving National Drowning Report. The latest Report found that 271 people died as a result of drowning in Australian waterways in the 2014/15 financial year. This figure represents a 6% reduction on the 10 year average of 288 drowning deaths and an increase of 2% (or five deaths) on the 266 lives lost the previous year. 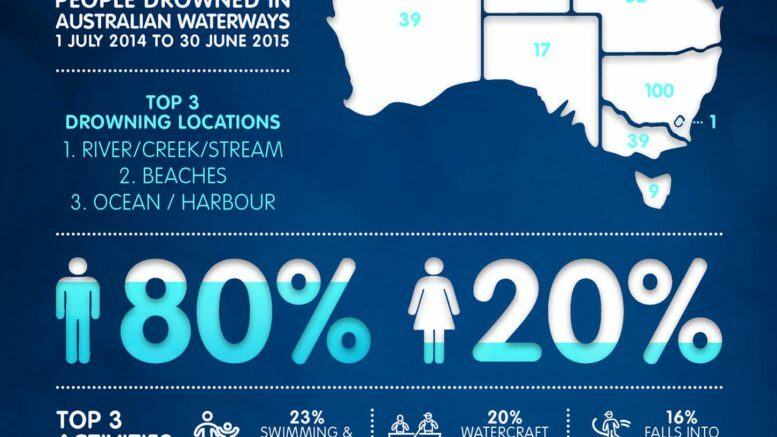 Royal Life Saving Society – Australia has put together a video infographic to highlight the key findings of the Royal Life Saving National Drowning Report 2015. For a quick summary of the key findings of the Royal Life Saving National Drowning Report 2015, check out this infographic.